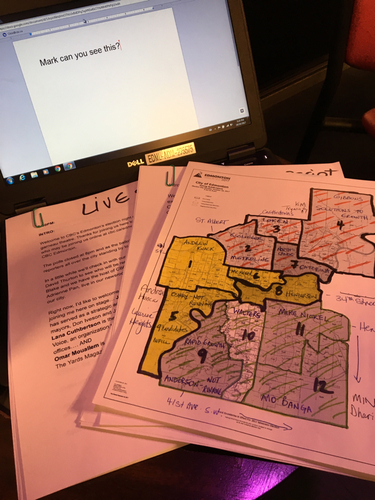 CBC Edmonton is live for the 2017 municipal election in the city and surrounding areas. Follow along for updates from our reporters. Calgary - Calgary's mayoral race is hotly contested. We'll be keeping a close eye on this race. St. Albert - It's an open race! With Nolan Crouse stepping aside, three candidates are vying for the spot. Beaumont - After 16 years, Beaumont mayor Camille Berube is stepping aside. Six candidates are running for mayor here. Leduc - Three candidates are hoping to be Leduc's next mayor, as Greg Krischke, the city's former mayor, is outgoing. Sherwood Park/Strathcona County - Five candidates here, including Roxanne Carr, who is running for re-election. Spruce Grove - Stuart Houston is seeking his fourth term as mayor. Only one competitor - Daniel Doornekamp - stands in his way. Stony Plain - William Choy has served 1½ terms as mayor in Stony Plain. One challenger, a councillor for three terms (Robert Twerdoclib) is against him. Fort Saskatchewan - Gale Katchur is seeking re-election, with two others looking to unseat her. Red Deer - Tara Veer is seeking re-election here, and is facing against Sean Burke, a recovered crystal meth addict and a digital advertising provider. Parkland County - Rod Shiagec is seeking re-election here. Facing off against two other candidates. Sturgeon County - Current mayor, Tom Flynn, is facing off against Alanna Hnatiw in a one-on-one showdown. Leduc County - This one's a bit different. There are seven divisions, six are up for grabs (one has been acclaimed). Then, a mayor is appointed. John Whaley, who was mayor prior, is not seeking re-election. Morinville - Lisa Holmes left as mayor, and only one person, Barry Turn, threw his name into the hat. He's been acclaimed as mayor. Devon - Stephen Lindop is seeking re-election here. He's facing off against four candidates. Gareth Hampshire (@cbcgareth) is looking at the mayoral race tonight. Andrea Huncar (@andreahuncar) is monitoring Wards 1, 5, 6, and 8 tonight. Kim Trynacity (@Ledgewatcher) is overseeing Wards 2, 3, 4 and 7 tonight. Min Dhariwal (@MinDhariwal) is at Wards 9, 10, 11 and 12 tonight. David Thurton (@CBCDavid) will be working the Fort McMurray mayoral race (and council spots, too). 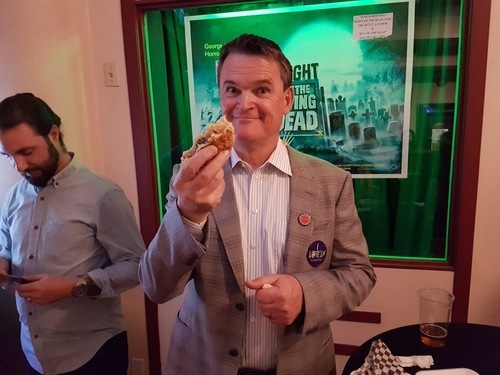 Mark Connolly (@markconnollycbc) is hosting CBC Edmonton's live election coverage at the Garneau Theatre! You can catch some of it live on Facebook at around 8:30 p.m. Tickets are still available (and they're free. Very free. There's also free popcorn and free live music. And Garrette McGowan). Everyone mentioned will periodically pop by and give you a bit of an idea of what's going on where they are. Will Don Iveson be giving a victory speech here tonight? We're here at the Matrix Hotel in downtown Edmonton. Hello CBC Edmonton election night live blog ???? #ymm I will be keeping an eye on the municipal race from Canada’s oilsands capital. Lorraine Kuffner is one of the first Don Iveson supporters at the Matrix. Organizers are expecting about 200 people here tonight. 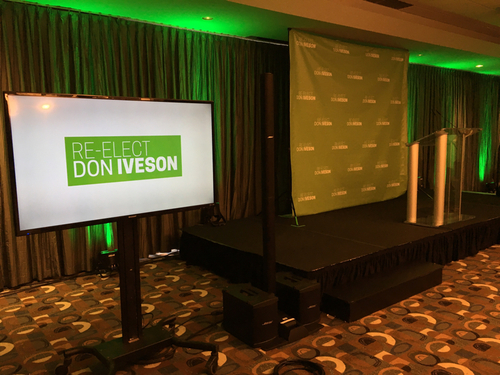 Green is the colour Iveson has used since 2007. It represented re-birth and growth then and he stuck with it. 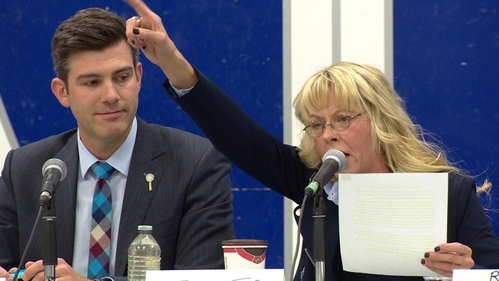 What percentage of votes will Mayor Don Iveson get in 2017? 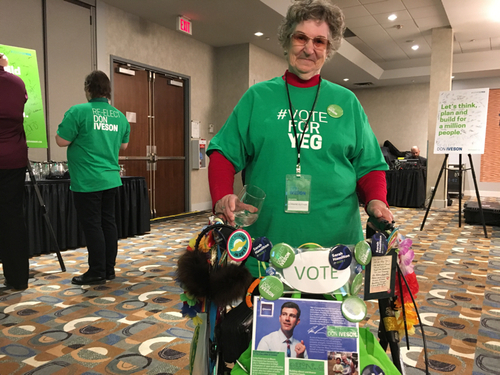 In 2013, Iveson got 61.88 per cent of the vote. 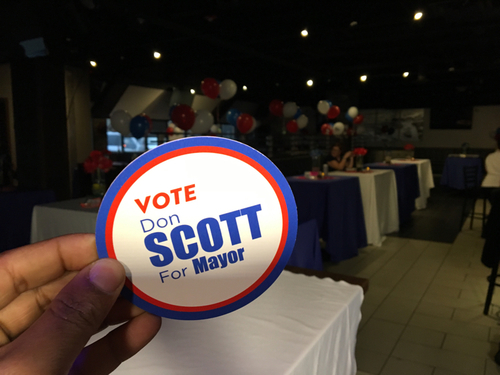 CBC NewsIn my first column for CBC Edmonton, I asked whether this year’s municipal election campaign would be a Seinfeld election, an election campaign about nothing. In some ways it was, in other ways it was not. My notes are all ready to go. Our first result of the night (because he had no one running against him). This is ~ 22 per cent (based off number of eligible voters from the City of Edmonton's website). Polls close in 12 minutes! 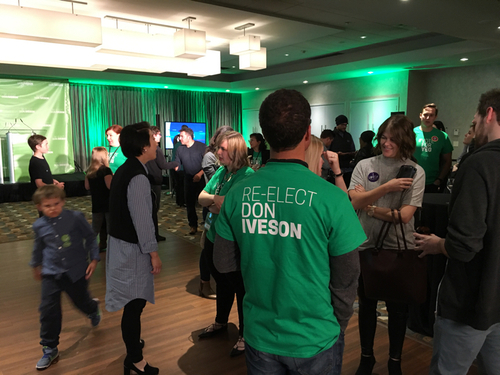 Party like atmosphere at Iveson campaign with ten minutes to go before the polls close. Adrienne Pan will also be monitoring other races in the surrounding area. 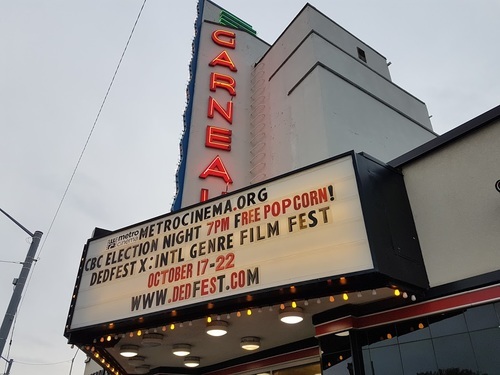 We're also at the Garneau tonight! Go hang out with Mark Connolly and eat some free popcorn. 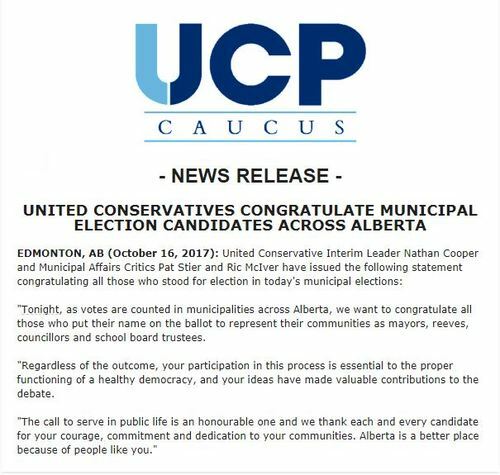 The UCP congratulate everyone running, for some reason. Meanwhile, long lines in Fort McMurray. Voters were off to a slow start today. We'll see what turnout is like soon enough. 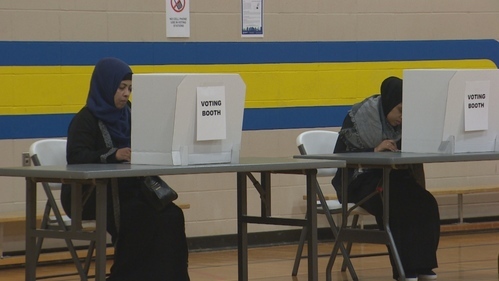 Election day in Edmonton got off to a slow start Monday with quiet voting stations across the city. Iveson campaign thanking the volunteers with a T shirt toss at his election night party at the Matrix hotel. Sandy Pon's team gathering slowly at Hart's table & bar. People anxious down here in Ward 9 as there is no incumbant. Sherwood Park update - incumbent mayor Roxanne Carr (31.7%) is losing to Rod Frank (38.1%). BREAKING: Miranda Jimmy has told CBC Edmonton's Andrea Huncar that she did NOT win the Ward 5 seat. With 100 per cent of the votes counted, CBC Edmonton is projecting that Bob Young is the new Mayor of Leduc. CBC Edmonton projects that Don Iveson has been re-elected as Mayor of Edmonton. Iveson supporters, after hearing the CBC projection.